For Cane Creek 10, 40 and 110 Series headsets, good for top or bottom 1.5" EC and ZS assemblies. 45x36 degree. For Cane Creek 10, 40 and 110 Series headsets, good for top or bottom 52mm/1.5" assemblies. For Cane Creek 10, 40 and 110 Series headsets, good for bottom 1.5" assemblies for forks featuring an integrated crown race with a 36 degree seat. Needed this headset to fit Ohlins fork to my bike, simple install has been awesome! Exactly what my bike needed! Great product! I bought these to replace the original bearings on my 2008 Fuji Cyclecross Comp bike. The steering was extremely stiff and you could feel the grinding. Disassembled my headset to find completely rusted bearings that took quite a bit of work to get out. Installed the Cane Creek 40 Series bearings in a few minutes with no troubles and now my steering couldn't feel more smooth. I will be purchasing these again in the future. Long shipping but I understand this is a hard to find item. Needed to chance the lower bearing from my headset. This made it feel like new again! My old bearing felt ok, but I was getting creaking out of the frame and it remained after greasing the bottom bracket. I replace this lower headset bearing which fixed the problem. Fixed the popping and creaking in the headset. Exact factory part. I purchased 6 of these (2 for headset and 4 for GT Force pivot bearing rebuild) and they made a heck of a difference. the old ones had never been replaced or serviced so they were very shot. the way the bike handled made it well worth the money and they were kinda fun to work on honestly. A good product imo. No issues with the bearing. Installation and function are both as expected. I wish they'd sell them in single packs, though, for those of us with tapered steer tubes. Delivered on the date advised by Jenson. Thanks. Better than the 10 bearings but still only last about 1 season unless you are opening it up once a month to grease. Just get the 110 and be done with replacing headset bearings. these aren't impervious to mud and water but they are much better than loose ball bearings and and still reasonably cheap. if you never want to have to open up your headset and you ride in a lot of foul weather then these aren't for you. if you don't mind greasing and replacing now and then they are worth the price. 40 series bearings are notoriously crappy. If you're replacing this, do yourself a favor and upgrade to the 110 bearing. It will last 10 times longer than this one. 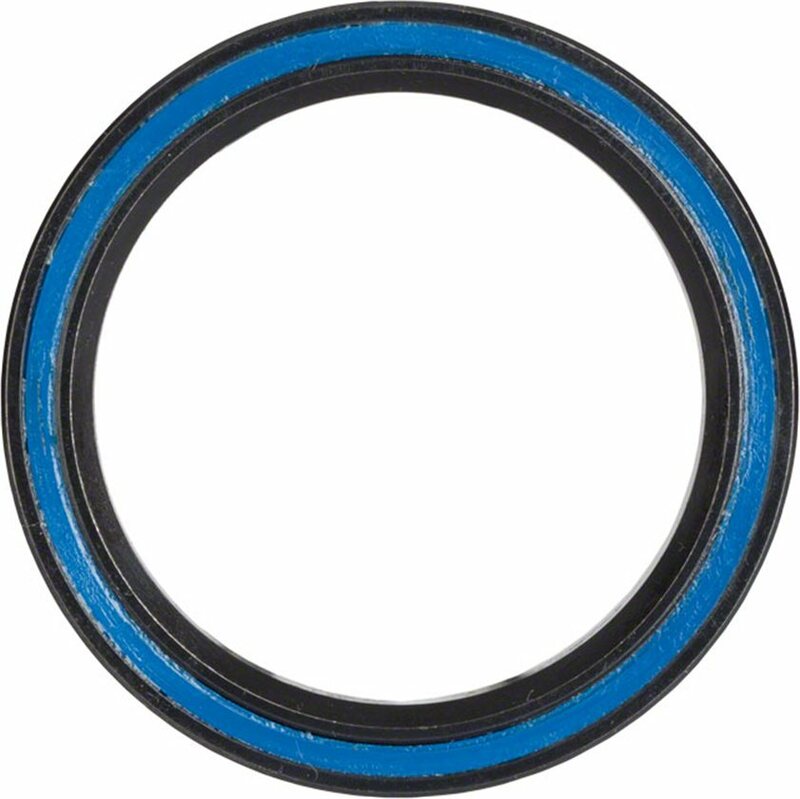 What bearing size do I need to replace bearings in a Cane Creek Double XC Flush (1.5" reduced to accomodate 1-1/8" Boxxer steerer tube)? Unfortunately, we do not have nearly enough information about your current setup to give an informed answer. Hit up one of our Gear Advisors and they will be able to walk you through finding the right answer. Are the two bearings interchangeable top/bottom of headtube (1-1/8" straight steerer 36/45, BAA0174K model)? BEST ANSWER: The headset bearing sizes depend upon the headtube and fork steerer dimensions. Best bet is to measure both the inside diameter of the frame's headtube dimenisions as well as the fork steerer tube and crown area outer dimensions and then match the bearing sizes to fit. More modern fork and headtubes are tapered and have 1.5 nominal crowns and 1 1/8 nominal steerer tube diameters. I am asking about the 1-1/8" straight steerer model specifically. Often the top and bottom bearings are different, even on a straight steerer tube. It varies by bike model. Check the following variables (measure your existing bearings if you can) to determine the correct bearing: outside diameter, inside diameter, bearing thickness, inside chamfer angle and outside chamfer angle. Generally bearings are not top or bottom specific. They're usually interchangeable on most bikes, I know at least it was on my Fuji cross. what's the orientation of the bearings? should the test on the outer race always face up or is that too obvious? BEST ANSWER: on all headset bearings one side is tapered. The tapered (angled) side goes in. I have a cento 1air. What is the angle on the headset bearing I need? 45degree?